Amazon has shut down its Amazon Pantry service since it does not comply with the new rules of the Ministry of Commerce and Industry. The online retailer has also removed many product listings. Amazon shuts down its Pantry service. This comes after the Ministry of Commerce and Industry released new policies to be followed by e-commerce platforms. The new rules also state the online platforms cannot sell products exclusively. Last Year, the Department of Industrial Policy and Promotion (DIPP), which is headed by the Ministry of Commerce and Industry, released a circular that is making a considerable impact on the e-commerce scene in India. A direct result of these policies coming into effect from Feb 1 is Amazon shutting down its Amazon Pantry online grocery shopping service. As per a Reuters report, the company has shuttered its online groceries delivery platform in India and also started taking down listings that violated the terms set by the government. On Amazon, various products sold by the online retailer’s exclusive vendors, Cloudtail and Appario, like house cleaning products and sunglasses were also removed. 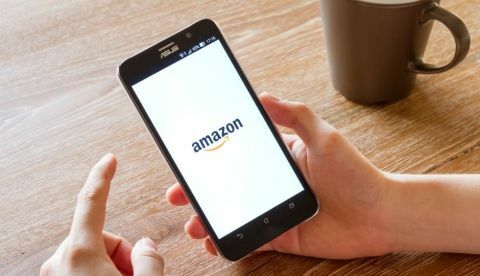 These new policies serve as a guideline that online retailers have to follow and the most important directive to take note is that an e-commerce entity providing a marketplace will not sell goods or services from its own companies that it controls, which means there won’t be any more Flipkart or Amazon exclusive devices. Additionally, they will now not control the pricing of the products being sold via their platforms and this also marks an end to the various sales online e-commerce platforms hosted throughout the year. There are many other points that should be taken note of, but before getting into them, one needs to know the difference between the marketplace model and the inventory model. The basic difference, as per the Ministry of Commerce & Industry, is that in the former model, online retailers like Amazon and Flipkart act as a facilitator between sellers and buyer, however, they will have some infrastructure set in place to enable operations such as warehousing, logistics and product handling, IT setup and more. Under the inventory model, e-commerce companies have a stake in the products that are being sold. For example, the smartphone brand ‘Billion’ and Flipkart sell products exclusively and Amazon sells 10or phones only on its platform. Walmart to enter e-commerce segment in India? Under the new policy, as mentioned earlier, an e-commerce company that acts as a marketplace cannot exercise ownership or control over the inventory being sold. Additionally, if it controls 25 percent or more of an online vendor’s inventory, like Flipkart’s WSRetail or Amazon’s Cloudtail sellers, these vendors will also be considered being controlled by the respective online retailers and cannot be sold on its platform anymore. Additionally, e-commerce players cannot control the sale price of any goods or services and 100 percent Foreign Direct Investment (FDI) is permissible only in the marketplace model.